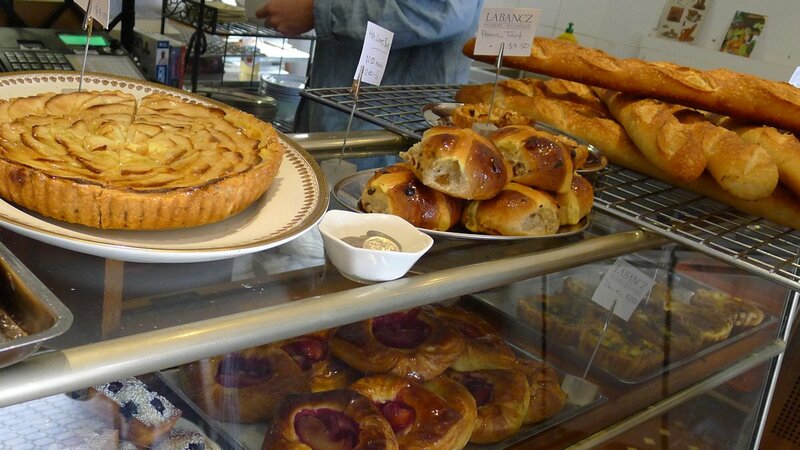 We’re subscribed to Labancz’s Facebook page and have been receiving photo updates of sumptuous looking pastries and hot cross buns. Today we decide it’s time to visit in person and sink our teeth into some freshly baked treats. The café has been open for two months and only one table is free when we arrive. We like that there is a table taken outside to accommodate patrons with dogs which adds to the Parisian feel of the place. 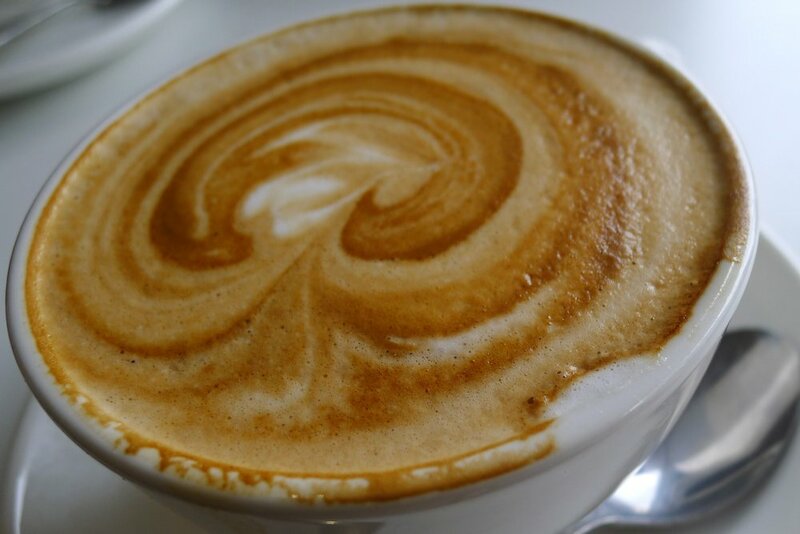 We order a skim cappuccino and flat white and would like them made slightly stronger but they are served promptly with a smile so we can’t complain. 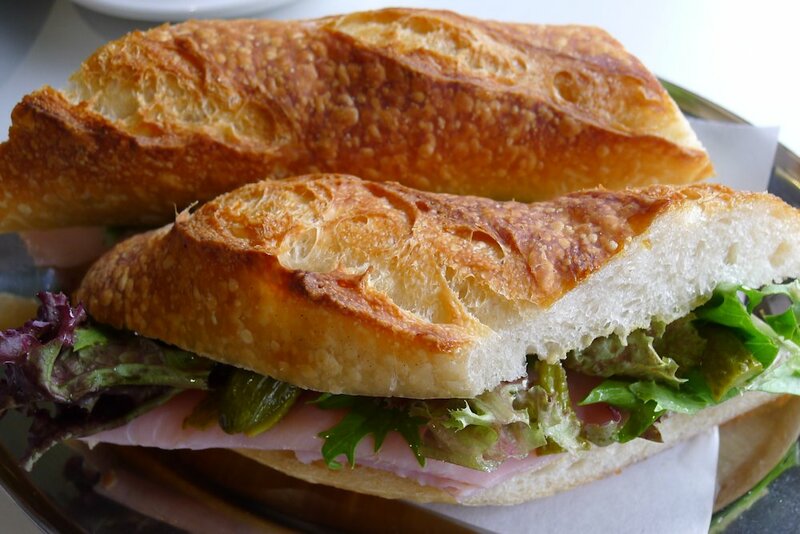 The baguettes sitting on the counter make our mouths water so have to try. The ham, dijon, cornichon and roquette baguette ($7.50) lived up to expectations with fresh crusty bread and fresh fillings. It was a decent size too so you won’t be left hungry. 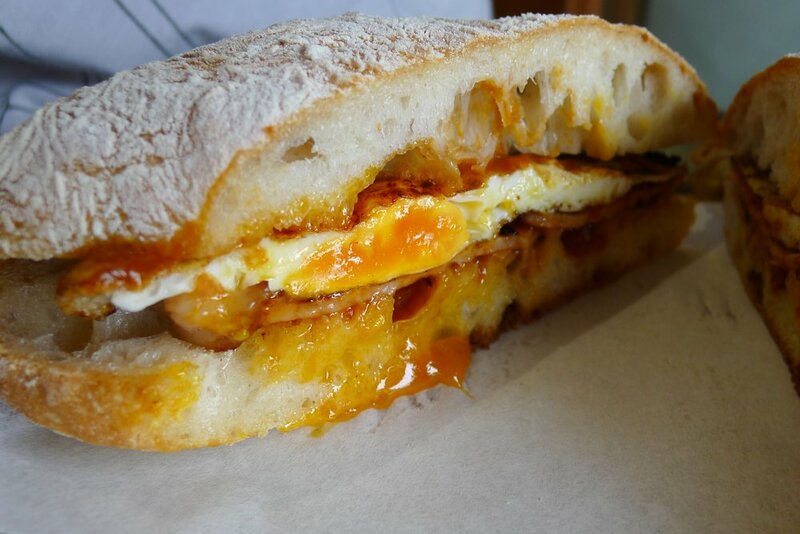 We receive a quizzical look when we ask whether the bacon and egg roll ($6.50) is premade or fresh. They are definitely fresh and they are definitely delicious! The tomato relish makes the biggest contribution to the flavour and we can’t recommend it more. The roll is dense but soft and we can only think of improving this dish by adding some Gruyère and another slice of bacon (“call us indulgent” , Dane). Are you drooling yet??? We are! The counter of in-house freshly baked goods is simply a delight. Not only do they look great but they are made with love and the prices are extremely reasonable. 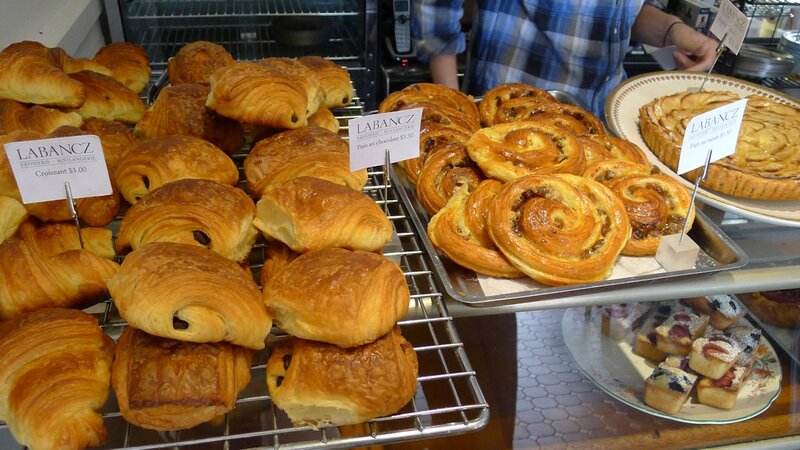 The pain au chocolate ($3.50) have a light, buttery and layered texture which sends us to food heaven. 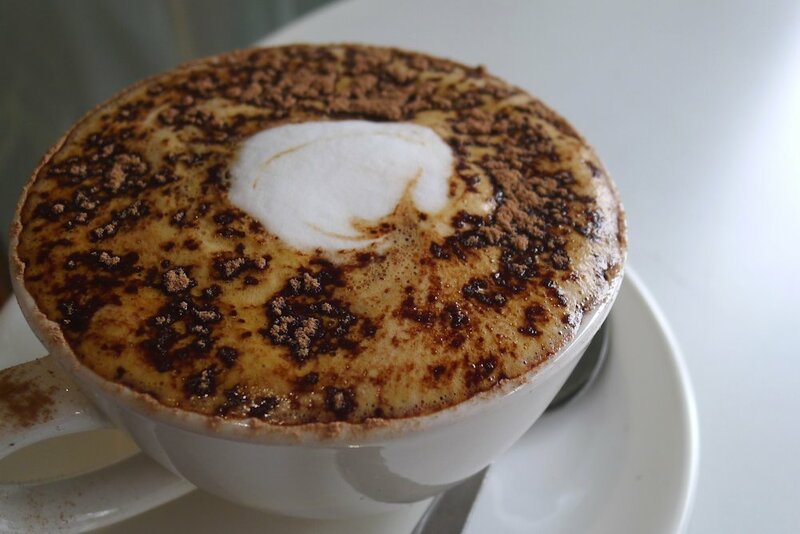 They quickly disappear off the shelves due to passers-bys who drop in for takeaway coffee and a treat on the side. Don’t you just want to dive in? My stomach just rumbled! 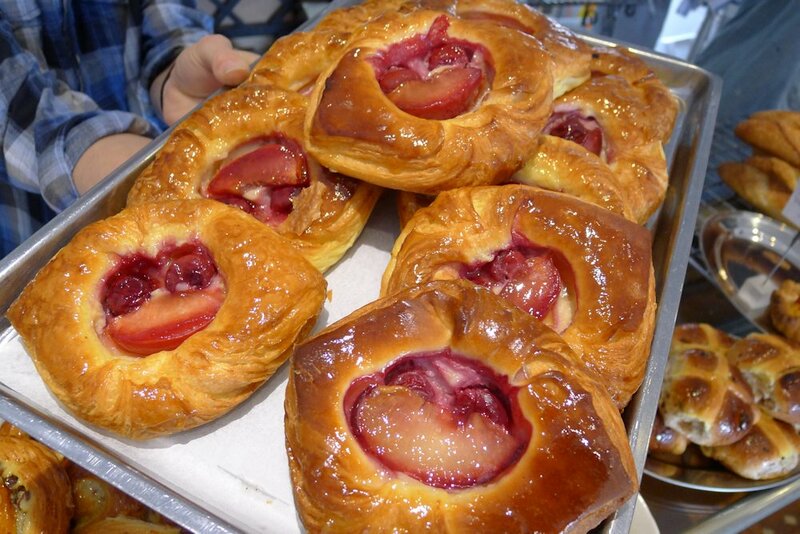 The soft fruit in the centre of the danishes ($3.50) contrast with the pastry and hit the sweet spot. 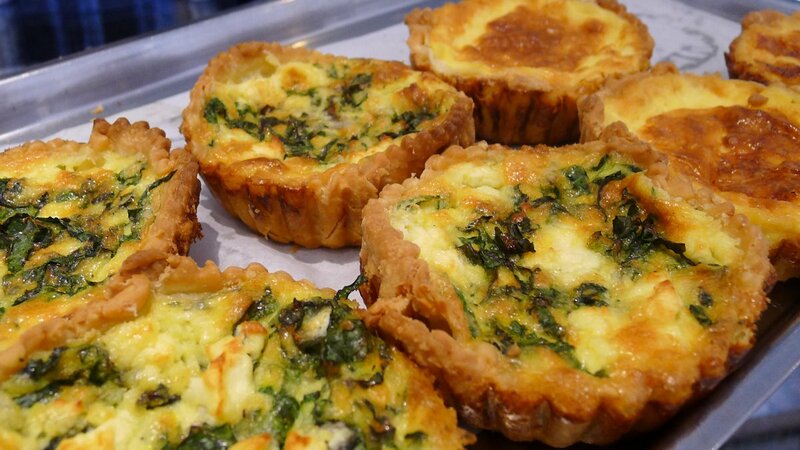 Also available on the blackboard menu amongst others is quiche (Lorraine or spinach & feta, $4.50), pies (chunky beef, chicken & leek or lamb & potato ($4.50) and ciabatta rolls (tuna, mayonnaise, olive tapenade & watercress and smoked salmon, ricotta, capers & watercress, $7.50). We’re off for a walk now to digest some of the butter and sugar we ate. 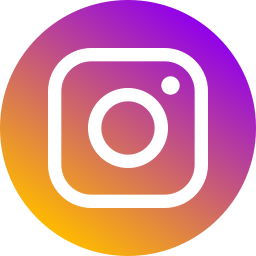 Darling Street, Rozelle has some interesting shops to visit including Velo Fix, for bike lovers, The Essential Ingredient for cooks and the Paper Plane Gallery for lookers. Just down the road are the Orange Grove Markets so if you spend enough time looking around you can pop down and buy some fresh produce for lunch. They are open on weekly on Saturdays from 8am-1pm in the grounds of Orange Grove Public School. This entry was posted in Sydney - Inner West and tagged Dog friendly, Fresh fruit and vegetable stores close by, Gallery close by, Outdoor seating, Parking close by, Reasonable prices. Bookmark the permalink. 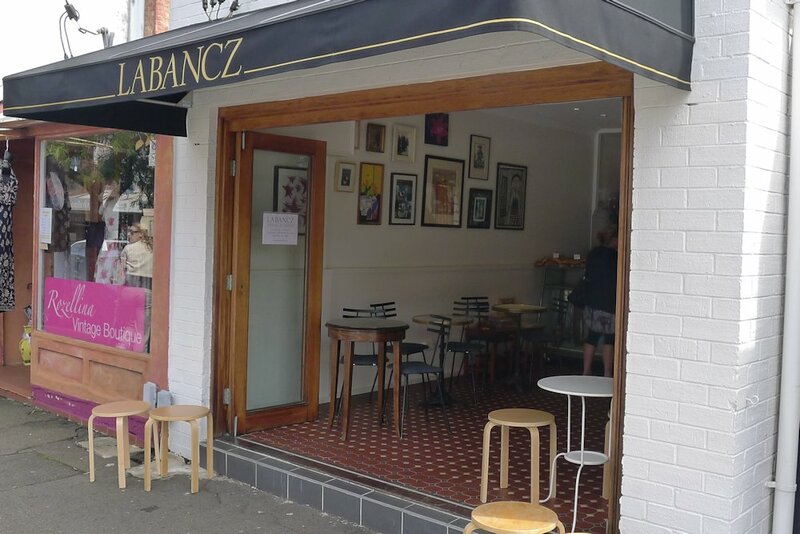 LaBancz offers excellent bread, although as the popularity of this Cafe has increased over the recent months, Quality and service has decreased quiet considerably. Greed would appear to have got the better of the owner, with my last couple of visits the Chicken Baugette has halved in size and chicken is no longer seen an important ingredient – whiclst the price has stayed consistent.